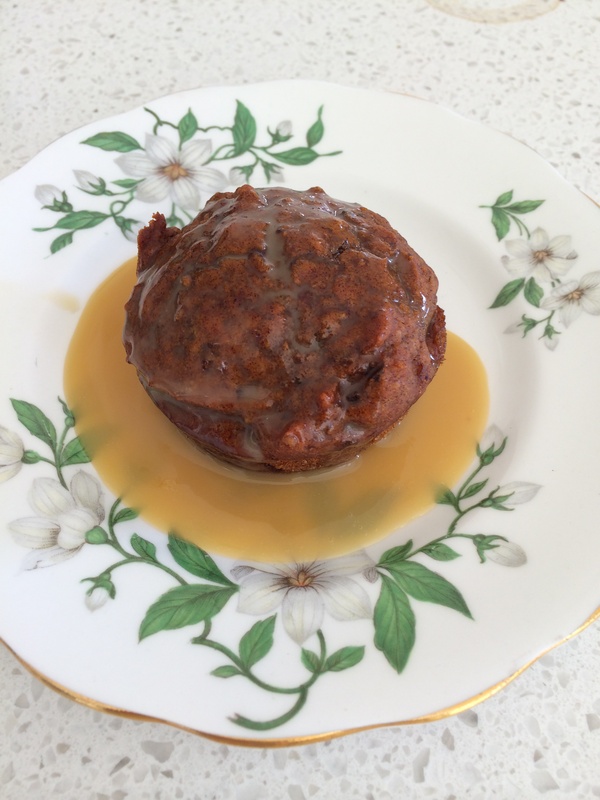 Just made these sticky date puddings (see recipe link above) in muffin trays for our dessert but I can’t wait till dessert, I’m eating one right now. It’s only 10am in the morning here in NZ and with that warm butterscotch smell wafting through the house it’s too hard to resist, feel like Nigella sneaking into the fridge at midnight eating the ” bad stuff “. But it’s really really good! And it only took a couple minutes to whip them up. There are quite a few clones of this recipe from the community with slightly different variations in the amount of butter and sugar. This recipe has the least amount of sugar and butter and it still tastes luscious and decadent and more than sweet enough for our taste. Altered the sauce to use cream instead of milk to get a richer thicker sauce. It is amazing. Yum !! See the link below for the other more decadent puddings, there’s also a guided recipe from the basic cookbook but decided to use one from the community because it was quicker, had less sugar and didn’t require the butterfly whisk. Maybe try the guided recipe if we’re having guests over.